The prosecutor's office served him a suspicion note. The prosecutor's office of Kyiv has served a suspicion note to the former head of the Kyiv branch of Innovation-Industrial Bank, who had appropriated 52m hryvnyas. 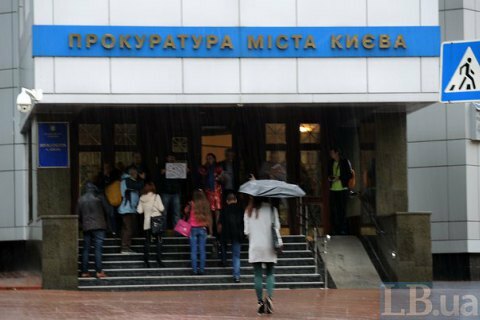 The prosecutor's office said on Facebook on 4 January that the suspect had embezzled the bank's funds during the bailout. The investigation found that from May 2010 to January 2011, while approving loans in the form of bills of exchange transactions, he came into possession of almost 52m hryvnyas of the bailout money provided by the National Bank of Ukraine to keep the bank afloat. "The ex-CEO was informed that he is suspected of committing a criminal offence (gross misappropriation and embezzlement by abuse of office)," the prosecutor's office said. A court will decide on whether to grant the former banker a bail. Earlier, the Prosecutor-General's Office said it suspects the managers of Marfin Bank of embezzling 300m hryvnyas.